John C. Bogle had championed the interests of the small investor and railed against corporate greed. Here are some of his investment tips. John C. Bogle, who died on Wednesday, is widely seen as having changed how ordinary people invest their money. His firm, the Vanguard Group, which grew to have $4.9 trillion under management, was built on a belief that, over the long term, most investment managers cannot outperform the broad stock market averages. “Jack Bogle made an impact on not only the entire investment industry, but more importantly, on the lives of countless individuals saving for their futures or their children’s futures,” Tim Buckley, Vanguard’s chief executive, said in a statement. Long-term investors must hold stocks even though the market is risky, because they are still likely to produce better returns than the alternatives, Bogle said in 2012. In 2017, he waved younger investors away from financial advisers and gave his approval to robo-advisers. “Unless you need a financial adviser to help you get started in that routine, you probably don’t need a financial adviser at all,” he told CNBC. Vanguard’s fund shareholders own it collectively, so there is no parent company or private owner to siphon profit, allowing the firm to keep costs down. Bogle became a harsh critic in his later years of the mutual fund industry and the high fees charged to investors for stock-picking expertise. Invest in a diverse selection of stocks and bonds, trust in the arithmetic and stick to it — this was the essence of Bogle’s advice for Vanguard investors. “Impulse is your enemy,” was one of the mantras. Bogle was the leading proponent of structuring an investment portfolio to mirror the performance of a market yardstick, like the Standard & Poor’s 500 stock index. 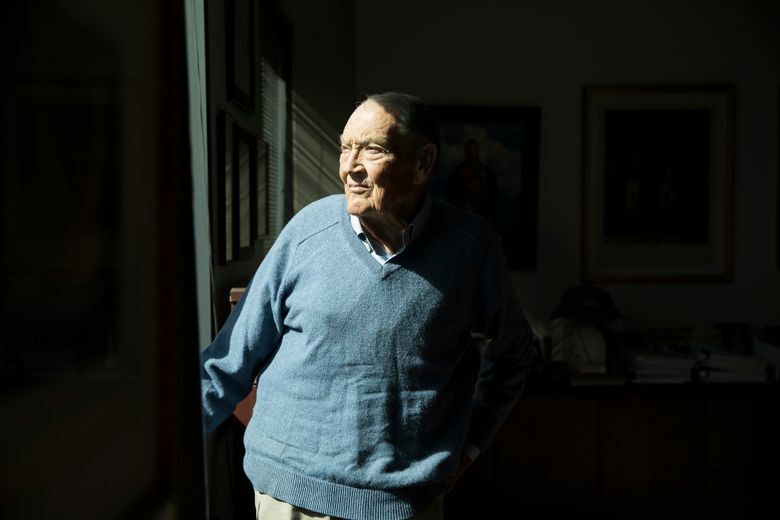 “The S&P 500 is a great proxy,” Bogle told The Wall Street Journal last year, adding that he hadn’t bought an individual stock in about 25 years. Bogle also told CNBC that the U.S. market was a safer bet than other markets. “U.S. companies are innovative and entrepreneurial,” he said. John C. Bogle remembered as the conscience of industry, sheriff of Wall St.